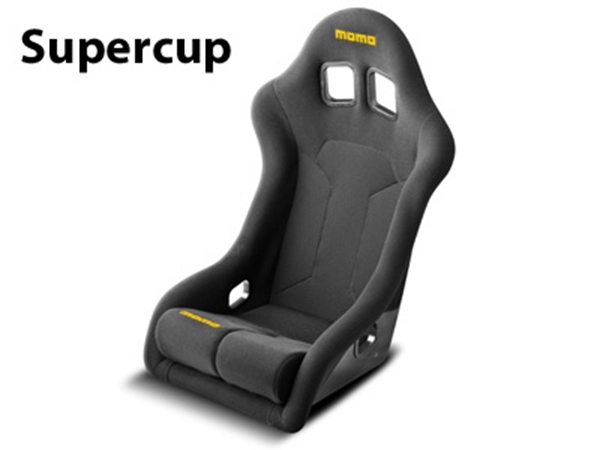 Hans compatible fiberglass Momo seat. Hans® compatible fiberglass seat. Seat shell visible on the rear, front portion upholstered in black fabric. The exclusive Airnet® technical material covers the central area on the back, and Kinder Point on the seating area provides the best possible grip. Removable double leg cushion to optimize support. 5 seat belt openings. Side mount. Color: black. Weight: standard version 19,6 Lbs, XL version 22,5 Lbs. FIA approved 8855-1999. Hans® compatible.